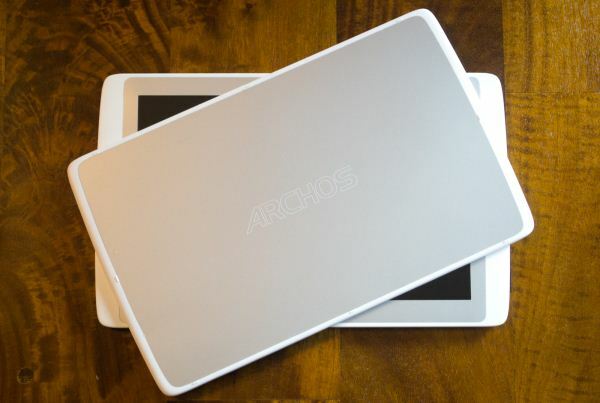 When Apple and Samsung were just in the planning stages of their respective tablets, Archos was already knee deep in it. Android was still just an idea Andy Rubin hadn’t quite fully fleshed out, when Archos introduced the Archos 5, a 3G equipped Portable Media Player with a browser and the kind of codec support that many of today's popular tablets can’t match. Tablets seemed like a logical next step for Android, and rumors of an iOS tablet had been brewing since before the iPhone, but it was Archos that made some of the earliest moves into this space. All this to say, minimal market penetration not withstanding, Archos deserves attention because of their longevity and persistence. We looked at the Archos G9 Turbo devices just a few months ago, and came away . . . impressed. Lofty promises of being “the world’s fastest tablets” haunted Archos to some extent, because the claims were made about a SKU that would take a nearly 8 months to finally see the light of day. In the interim, NVIDIA released its Tegra 3 SoC, in the ASUS Transformer Prime, and brought quad-core tablets into the conversation. We couldn’t quibble too much with Archos claims, though. Through some impressive refinement of the software, their two 1.5 GHz A9 cores were able to outperform almost every other Android tablet on the market, and even the aging SGX540 accompanying those cores found it still had legs (once it was properly clocked). While Archos had gotten the hardware and software right, they’d not done so well in design. The G9s were pedestrian at best. Dark grey, large bezels, plump and plain, these weren’t going to ever be described as pretty. Two out of three ain’t bad, and with pricing that undercut much of the competition, at the expense of refinement, it wasn’t hard to recommend to the media hungry tablet buyer. Solid internals, and software gets you most of the way there, but what do you do for the follow up? In Archos case they made it prettier. Say hello, to the Archos 101 XS. The entire product line will be referred to as the Gen10 XS, reminding us that this is the 10th generation of Archos tablets. I almost prefer 'Gen10' as a brand than the XS moniker. That said, those two letters do an effective job of describing the new tablets in a few different ways. We’ll start with the most obvious one. Where the G9 was drab and chunky, the XS (think Extra Small) is svelte and much more stylish. The silver on white body is attractive and though not unibody or made from some exotic ‘polycarbonate’ the fact that it’s a matte plastic feels much better to the touch than glossy plastics. The silver trim feels a bit cheaper than the white body, and scratched a bit before I could even get glamour shots done (from what I’m not sure). The design is a great advance over the G9s, and a satisfying departure from the staid designs that generally make it to market. Now, if something could have been done about those bezels. The assortment of ports on the device is mostly unchanged, the left featuring the bulk of it with microUSB (for data and power), audio, miniHDMI and microSD card access. That microSD slot is a bit tricky; a large enough gap exists around the slot itself so that a careless user could actually slip the SD card between the frame and the body of the reader (yeah, that happened). The power button and activity LED now join the volume button on the right side of the device, and both buttons are quite a bit thinner than their forbears, and a bit squishy for that. 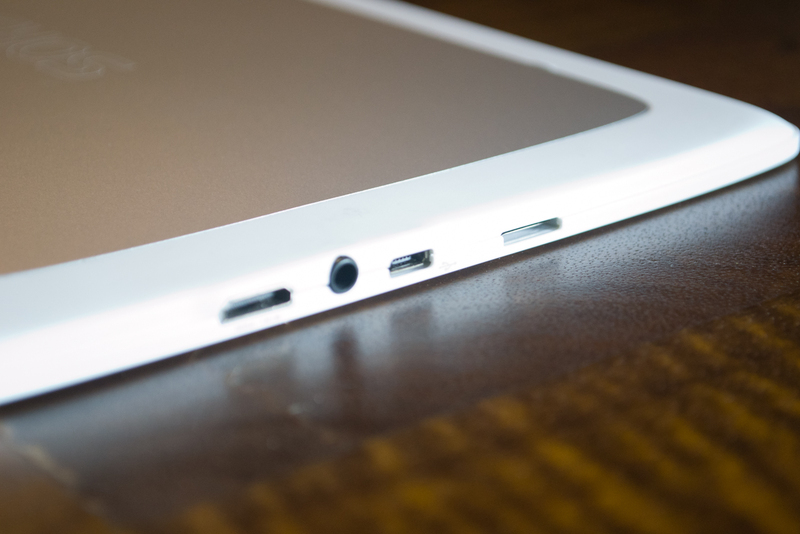 The top of the device remains bare, and the back is featureless, which means both the USB slot for the optional 3G stick is gone, as is the kickstand. The bottom now has a set of pogo pins and a couple of magnets, more on those later. The front facing and lone camera remains to the left of the screen along with the mic, while to the right is the single speaker. When it hits retail, in mid-September, the XS will come in at $399, including a keyboard case we’ll talk about later. This is a pretty decent amount of kit for a pretty reasonable amount of money. At that price it’s competing with the still available iPad 2, Samsung’s Galaxy Tab 2 10.1” and the ASUS Transformer Pad TF300. We haven’t run the Tab 2 through the ringer, but it shares internals with the inexplicably expensive Motorola Xyboard, so we’ll consider it in the Tab 2’s stead. So, that’s how it looks and how it fits in the market, let’s see how it performs. Nope, sorry. 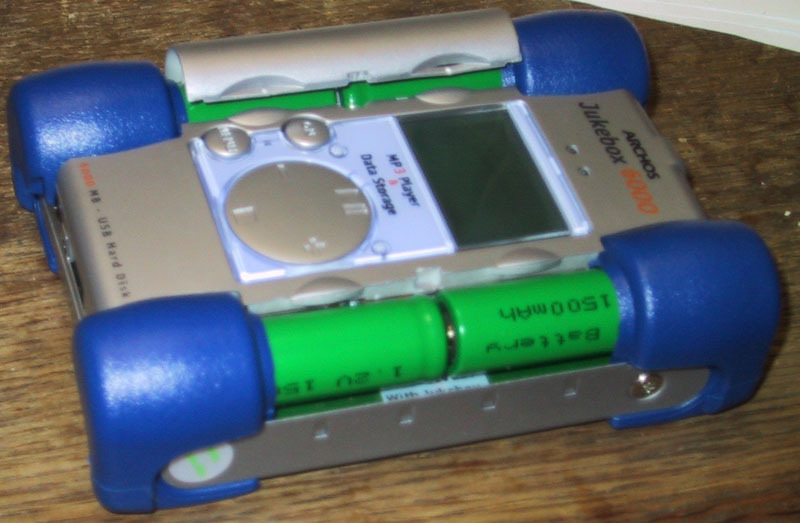 I had a Rio 500, a Nomad Jukebox, an Archos Jukebox, and a first-gen iPod, and this is dead wrong. The Rio was cute, and the interface wasn't a handicap given the capacity, but the capacity was simply anemic - with the largest-capacity SmartMedia card, you could store maybe 2-3 albums' worth of music on it, and you had to explicitly switch between internal and card storage.. a real pain. So not terribly useful. The Nomad Jukebox, which came out before the Archos and iPod, fixed the capacity issue... but the browsing interface was utterly atrocious, and the only way I found it usable was to build playlists on the computer and just run them from the Jukebox. It was also huge even at the time, larger and heavier than contemporary portable CD players, with a tiny and hard-to-read screen in the center. The Archos Jukebox was at least browsable on the device, but all music had to be user-managed through a user-created folder structure; no way to use ID3 tags to browse, no shuffle play across folders, and playlists limited to .M3U files stored in the folder hierarchy. The hardware was better than the Nomad, but still chunky, heavy, difficult to pocket (the plastic endcaps were a problem, see the pic accompanying my review at the time - http://www.tidbits.com/resources/592/archos-jukebo... and trying to swap the batteries was a nightmare.